Exterior pocket dimensions: 17"(H) x 6"(H) x 2.5"(D). 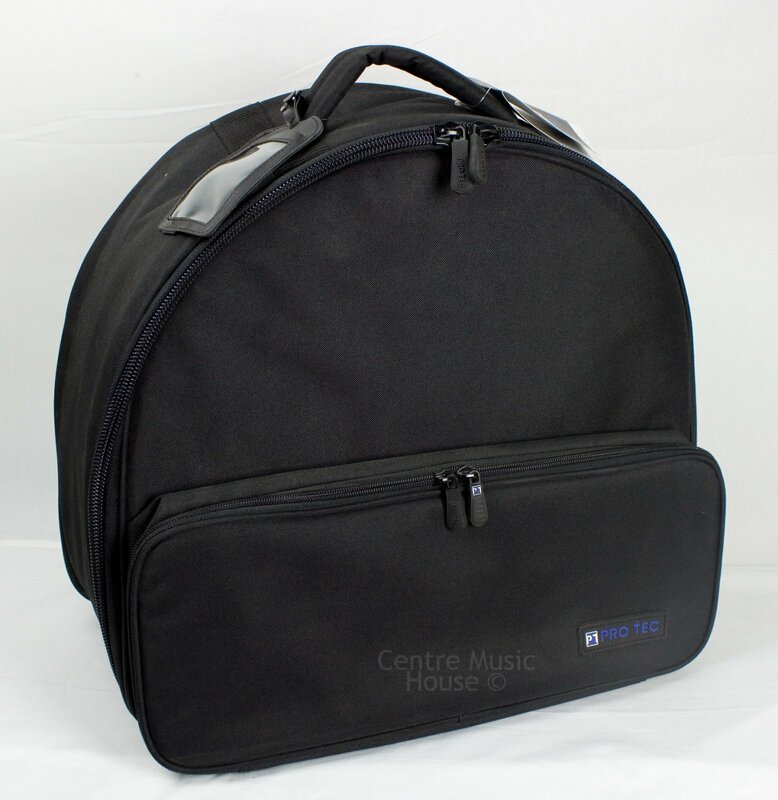 The Protec CP116 Student Snare Backpack Bag is a durable and lightweight bag that accommodates snare drums up to 6½" deep, as well as a snare stand and drum sticks. The exterior is made of water and abrasion resistant 1000 denier nylon. Padded backpack straps make carrying the snare easy.